Arrow Max Compressor & Vacuum Pump is a compressed air specialist, serving wood shops throughout the San Francisco Bay Area. Air compressors power a wide range equipment in a wood shop. From powering tools like nail guns to dusting off equipment, compressed air is vital to any wood shop. We can help you select the right air compressor for your wood shop, whether large or small. To schedule repair, sales or service for your wood shop compressed air needs, please call 510.828.7555 or contact us today. Whether you decide on an oil free or oil lubricated compressor, Arrow Max Compressor & Pumps can help you select the best option for your wood shop. Whether you are looking to replace and old air compressor or add more CFMs, call us first for the best selection and service. Especially in harsh and dusty environments, a reliable supply of 100% certified oil-free compressed air is critical to ensure production continuity. 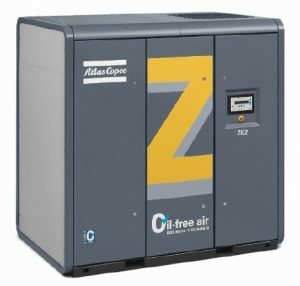 One option for providing compressed air to your wood shop is Atlas Copco’s low pressure ZE/ZA compressors, which fulfill this demand by offering a constant air flow at minimal energy costs. Integrated Variable Speed Drive (VSD) variants offer up to 35% extra energy savings by automatically tuning compressor flow to the precise air demand. Interested in discussing your wood shop compressed air needs in the Bay Area? Please call Arrow Max Compressor & Pumps at 510.828.7555 or contact us today.